We offer three specialist programmes designed to launch or develop your management career in the maritime, logistics and supply chain industries. All three of our programmes are accredited by the Chartered Institute of Logistics and Transport (CILT). They're also recognised by the Institute of Chartered Shipbrokers (ICS) and the Nautical Institute. Our programmes will provide you with the specialist skills you'll need to enter senior positions in maritime, international logistics, international procurement, supply chain management and related industries. You'll benefit from the opportunity to enhance your professional competence and build upon your existing experience through a structured programme of study. The MSc International Shipping, MSc International Logistics and Supply Chain Management, and MSc International Procurement and Supply Chain Management consistently deliver exceptional student experience and high levels of student satisfaction. Our graduates are highly regarded in the industry for possessing the essential skills required to be quickly employed. They're also appreciated for learning the critical skills required to discuss a range of solutions for serious management issues. All three programmes have an international reach, with students from over 20 countries recruited in any one year. This enhances your academic experience and increases your international contacts. Our programmes are delivered by a team of multicultural and international staff with strong expertise in their respective areas. Our programmes offer you the opportunity to draw on the unique blend of academic excellence and industry liaison experience of our staff. The staff in our group undertake substantial but focused research in areas of international shipping, international logistics, and supply chain management. Our research scholarship and expertise shape our programme development and delivery through research-informed teaching methods. These programmes harness and exploit relevant new technologies such as simulation, in order to enhance your teaching and learning experience. Our programmes offer the opportunity to undertake regular visits to companies, trade exhibitions, seminars, workshops and industry conferences of interest. These visits will bolster your understanding of academic concepts and their application. We offer a learner-centred approach that's responsive to your needs, giving you the option to complete your programme in three periods over the consecutive years. We provide you with unique pastoral support. This support ensures that a specialist lecturer is available to guide you in the knowledge, technical issues and skills expected of graduates in each sector, capable of offering appropriate advice on, for example, module choices, project development and careers issues. The shipping, logistics and procurement programmes are supported by visiting speakers from relevant industries who provide current and specialist information. Our popular visiting speaker programme gives you access to current developments in the industry. You'll also gain networking opportunities through which you can seek internship, consultancy and work on a firm-based or firm-sponsored research project. 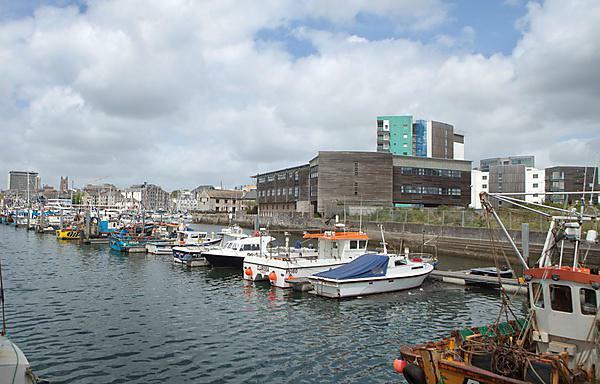 As a graduate of one of these programmes you'll have the opportunity to be a part of PYNDA (Plymouth Nautical Degree Association), an alumni association formed in 1970. PYNDA members occupy all levels within the maritime industries, from new entrants to influential business leaders. PYNDA will provide you with an excellent opportunity to develop networking and business contacts, and to source internship and employment opportunities. Our ethos of entrepreneurship, employability, industry-liaison, internationalisation, sustainability, innovation and digital literacy underpin the programme content and module delivery. We continuously review our programmes to ensure that the focus reflects current developments, industrial changes, the needs of professional bodies, employers and the marketplace. Our programmes were last reviewed in 2012. MSc International Logistics and Supply Chain Management and MSc International Procurement and Supply Chain Management both offer the opportunity to pursue dual award titles. On both, you'll have the opportunity to study both logistics and supply chain management in sufficient depth, broadening your employment opportunities. Both the MSc International Logistics and Supply Chain Management and the MSc International Procurement and Supply Chain Management provide you with the opportunity to undertake a joint course with Fontys University of Applied Sciences, at Venlo in the Netherlands.